The Privacy Study Carrel provides private computer use. 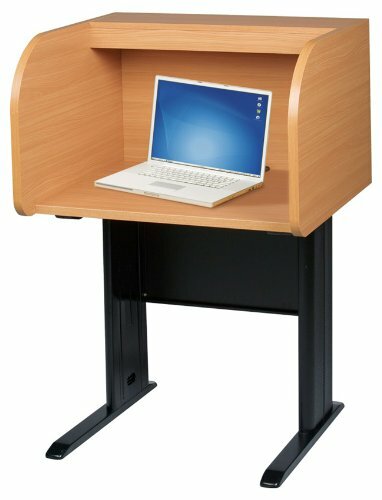 Ideal for libraries, testing areas, or anywhere else privacy is needed. Constructed with 1" thick panels finished in teak wood grain laminate. Generous work surface measures 29 1/2"W x 23 1/2"D and includes a grommet for easy cable management. Black powder-coated steel frame. Legs feature dual cut-outs for easy cable routing. If you have any questions about this product by Balt, contact us by completing and submitting the form below. If you are looking for a specif part number, please include it with your message.